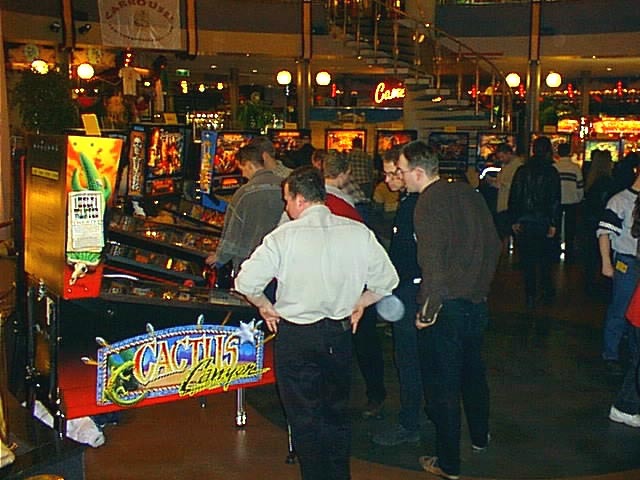 Held over the weekend of the 20/21st March 1999, the Dutch Pinball Open boasted a large number of very well maintained pinballs from recent years. 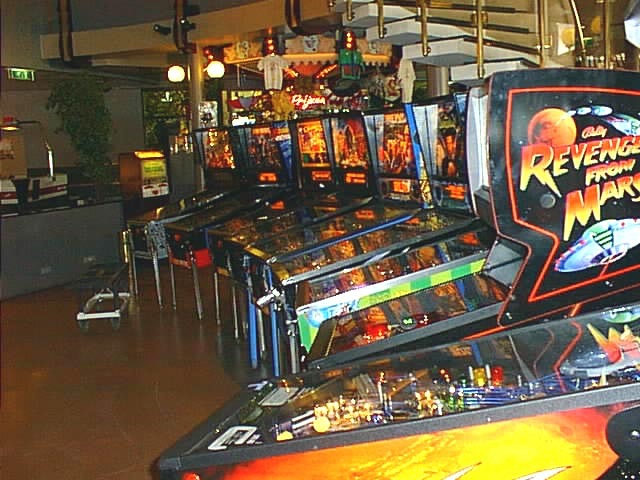 Of particular interest were the 4 Revenge From Mars games, the first game in the new Pinball 2000 series from Williams/Bally/Midway. 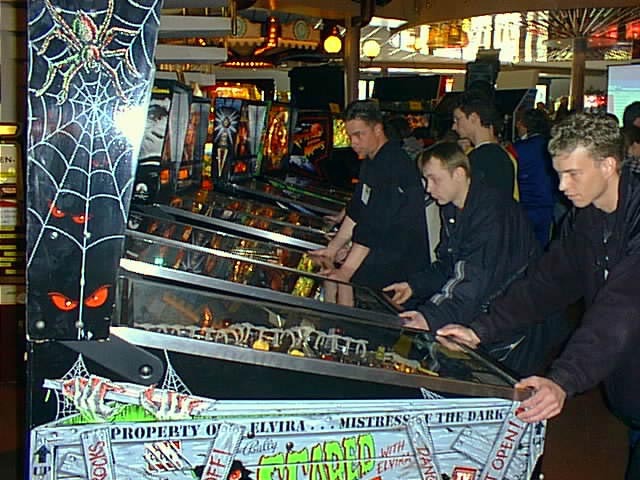 Most late 90's dot-matrix games were represented, and the pictures below should give you a good feel for the number of games on show. The games above were in the central area, arranged around the outer edges of the room, allowing plenty of space in the centre. Those show below were in an adjacent room. As you can see, the emphasis was certainly on DMD games, the majority being from Williams/Bally. Then the doors opened and the crowds started to appear. There was a greater concentration on the official competition than in the UK shows. This was probably due to there being a decent prize for the winner. 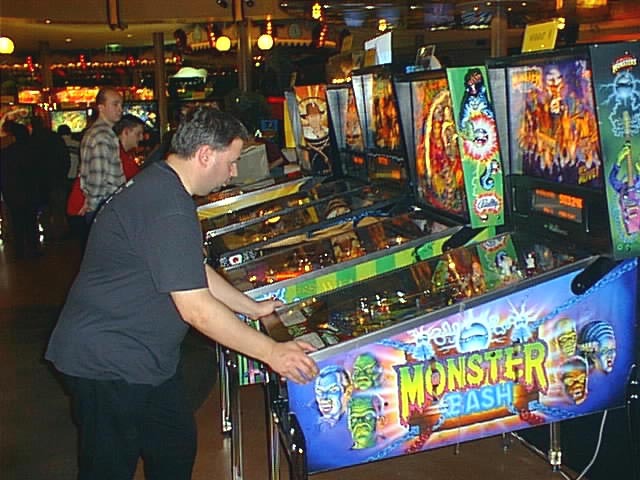 This year it was a trip to Pinball Expo in Chicago to play in the competition there. After 2 days of intense competition, the competitors are reduced to the final 2 men and 2 women. This reporter made it to the final 8 before succumbing to the pressure. Credit to the organisers for an excellent turnout of both players and games. It doubtless took a lot of effort from all concerned to arrange the show. Unlike other shows, nearly all the games here were modern dot-matrix games, and were in excellent condition. There was probably no more than one game out of action at any one time. There must have been a healthy market for new games in The Netherlands if this sample is representative. In contrast, in the surrounding area it was very difficult to find a pub with a pinball. 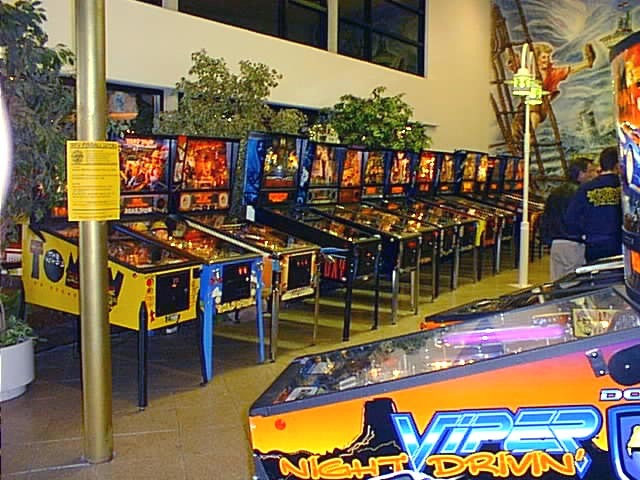 This came as something of a surprise, as previous visits to the country has shown it to be a pinball player's dream compared to the UK. 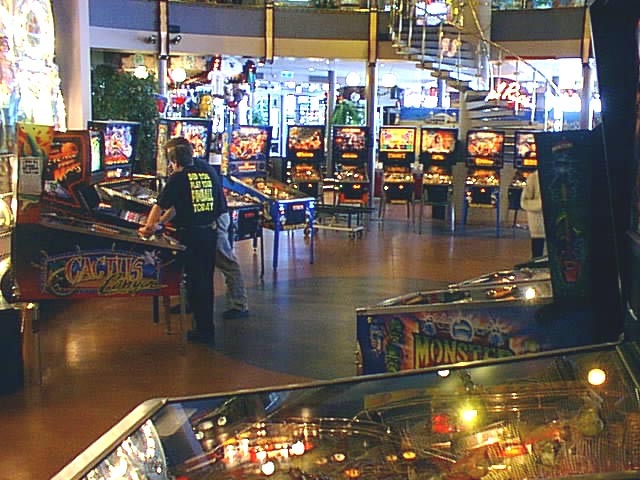 Hopefully this was not representative of the state of pinball in The Netherlands as a whole.